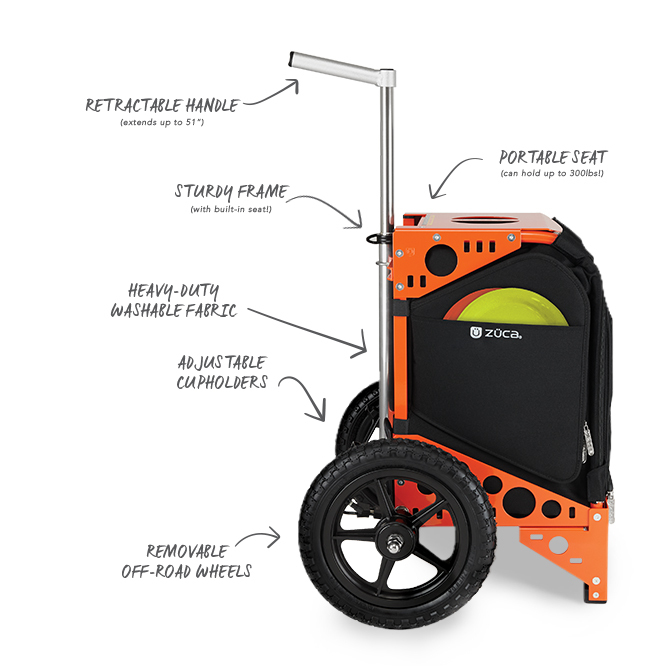 Your new caddy on wheels is designed to carry the essentials of the game without straining your back. Easily roll over any fairway in any season. Relax, sip, sit and enjoy the view as you play. Everyone is entitled to a little professional pampering -- ZÜCA does the hauling so you can focus on your game.